One of the things no homeowner or property manager wants to face is a leakage. It gets even worse if you can’t tell where exactly the leak is coming from. When a pipe is hidden or buried, or when a roof is too high or inaccessible, it can be a daunting task trying to figure out where a leak is coming from. Luckily, we are here to help! At Langley Plumbing Company, we provide efficient and effective leak detection services for leaks in the plumbing systems (drainage, supply pipes, rainwater pipes, among others) as well as leaks on the walls, roofs, building junctions, and other external parts of the building. Obviously, any type of leak is bad news for any home owner or property manager. However, a lot of people are reluctant to hire a professional to help detect leaks especially when they can’t see the damage it is causing. A water leak can be subtle or really obvious. Some leaks can be impossible to notice in the early stages especially if the pipes are hidden or hard to access. If left undiscovered, even a tiny leak can cause major damage to a property, and the longer you wait to fix it, the more expensive it gets. As such, early detection of leaks is absolutely essential as soon as there is even the slightest suspicion that there could be a leak. If you detect and repair a leak in its early stages, you could save yourself from having to spend thousands of dollars in costly repairs that could have been avoided. Langley Plumbing Company has many highly skilled and qualified ultrasound and thermal imaging technicians. We use ultrasound, thermal imaging, and calibrated damp mapping equipment, infrared cameras, density measuring tools, and other specialized equipment to accurately detect and locate all sorts of leaks. When you have a leak, one of the worst ways to find out is by receiving an unusually high water bill. A lot of customers call us after receiving a shock of their lives when they read their water bill. Sometimes the bill suddenly shoots up while in other cases it may creep up a little at a time as the leak gets bigger. Even if a leak is small, it can lead to the loss of many gallons of water depending on how long you it stays unnoticed. Langley Plumbing Company will help you find and repair a leak to avoid unexpected heavy water bills. Even if you are trying to solve a leak problem, the last thing you want is to create other problems by destroying walls or floors when trying to fix a leak. We always try all possible non-destructive leak detection methods first before and only resort to destructive methods when there is no other option. We rely on our experience and expertise to get the job done with minimal damage to your property. When you suspect you may have a leak, the first step is to call Langley Plumbing Company immediately. We have a vibrant customer service team always available to respond to clients regardless of the day or time. We always try to provide a free quote as soon as possible. The leak detection price depends on the location of the property and whether you want a non-destructive or destructive leak detection survey. We also consider other things like whether we need to work at height, the number of workers needed, type of equipment needed, among other things. Before you know it, our response team will be at your doorstep ready to get to work and locate your leak. Depending on the location of the leak, detection may take a day or more when invasive techniques are being used. Have you ever woken up in the middle of the night to gushing sound of leaking water? Well, if you have, you know how much panic it can cause. Leaks can come at any time; which is why you need Langley Plumbing Company on speed dial. 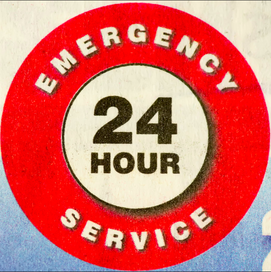 We are always available regardless of whether it is at 2pm or 2am, Saturday, Sunday, or even Christmas Day. You can be sure that if you call us, someone will be at your doorstep soon ready to save you. After many successful decades in the industry, we have gathered a team of highly trained, fully licensed, and experienced staff who know their job and do it to perfection. Above all, our workers are friendly and will treat your home and property with respect at all times. We value all our customers, which is why we have made it easy to reach us at all times for queries or any other issues regarding our services, right from when you first contact us, you can expect to be served by a friendly customer service rep. our client-based system ensures you get what you want at all times and that you are in charge of all decisions regarding the leak detection services. Our non-invasive leak detection methods ensure that there is no or minimal damage to your property. Using our specialized equipment and techniques, we can accurately discover all types of leaks without destroying anything. We believe in providing all our customers with high-quality leak detection services without them having to dig too deep in their pockets. 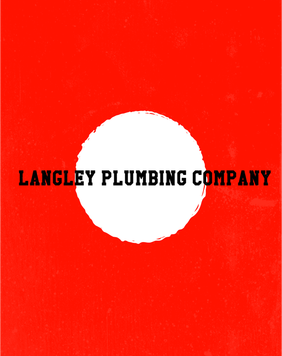 With Langley Plumbing Company, you can be sure you are getting the most value for your money. If you are looking for efficient and accurate leak detection services in Langley, get in touch with Langley Plumbing Company today on 778-800-2732.